Two senior executives at Google’s sister company Sidewalk Labs outlined new technology that will be proposed at Waterfront Toronto’s Digital Strategy Advisory Panel (DSAP). 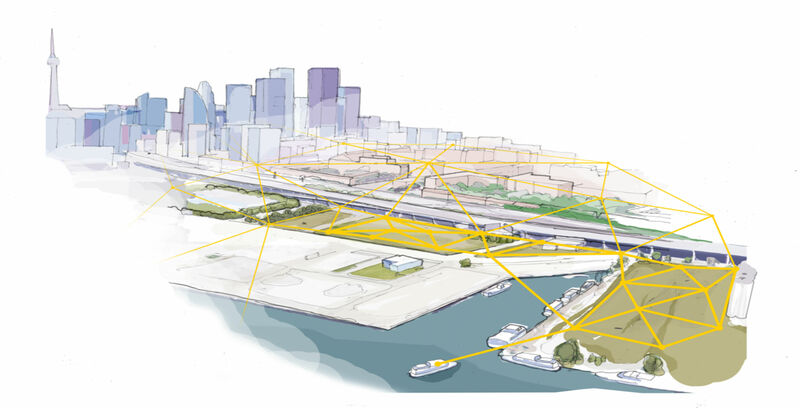 Sidewalk Labs’ head of engineering, Craig Neville-Manning and head of product Prem Ramaswami, outlined in a Medium article on January 11th, 2019 some of the work on “digital infrastructure that will inform the Master Innovation and Development Plan (MIDP) for Quayside,” the smart city project to be constructed in downtown Toronto. The DSAP is set to take place on January 17th, 2019. They propose a “software-defined network,” a new method of accessing the internet by removing the need for home routers. The two noted that this type of network could be done by utilizing a new technology called Super – PON (Passive Optical Network) to help access the internet with less equipment and at a cheaper cost. The technology is developed by Google Fiber and Sidewalk Labs said it plans to submit the technology as an open standard, which means it will be free for others to use. The pair also write about an outdoor mount that would power new technologies, that they call Koala. “This mount will create a standard connection point for cities that will drive down the costs of installing and maintaining digital hardware,” the post read. “These mounts will be designed to provide power and connectivity to devices without the need to run new electric wires or close down a street for hours,” it said, adding that a device can be installed in minutes using a ladder. They write that the mounts “would not collect any information,” and any installation and the use of data collection would adhere to Canada’s privacy laws. This is the first time Sidewalk Labs has revealed further information on what technology would look like in the contentious smart city. For a while now, Sidewalk Labs has not announced any new information on how it plans to collect user data but said in the past that it would collect it while residents are in the community. This could come from traffic signals to garbage bins.